The Buddha serves as a reminder to live mindfully and leave room for meditation in your busy life. 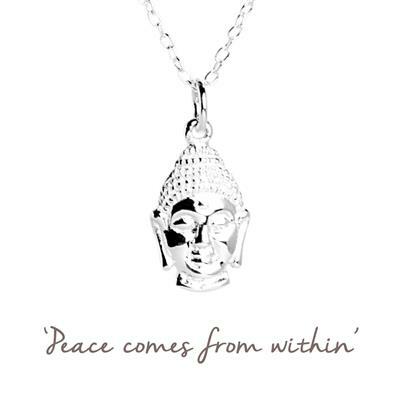 Wear your Buddha Mantra to remember to take pause and let tranquility flow through you. The perfect gift for: mindful reminder for someone experiencing stress, or going through a busy period.